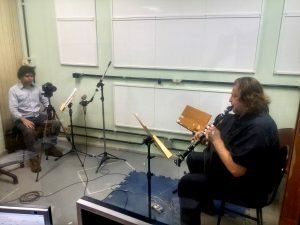 Between October 17th and 25th CEGeME had the honour to host a clarinet seminar with one of the most important active musicians of this instrument. Luis Afonso Montanha was our invited guest for a series of lectures, presentations and a mo-cap session for one of our ongoing projects. 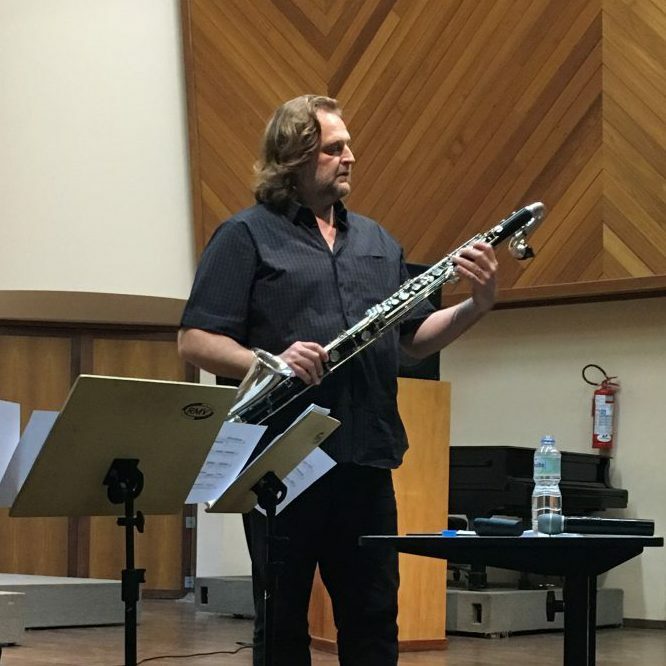 Besides a very diverse and interested group of students, we also had the presence of some of the most notable clarinetists of Brazil, like Alexandre Silva, Marcus Julius Lander, Ney Franco and the director of our team, Mauricio Alves Loureiro. Mocap session, with Alexandre Silva and Luis Afonso Montanha. On the last day of the seminar, Montanha was invited to lead a class for the “Viva Música” program of the School of Music of UFMG. 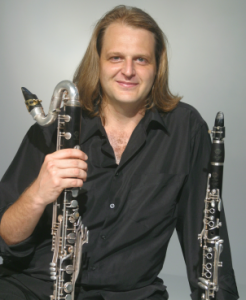 He presented a talk about the extended techniques on the bass clarinet and the relationship between composer and interpreter.